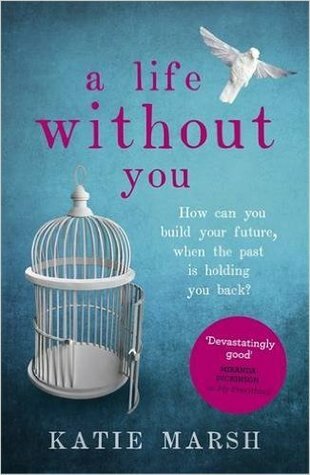 A Life Without You by Katie Marsh is available to buy on kindle now and will be available in paperback from Thursday 14th June 2016. I'm going to save my full review for the paperback release, as I am giving away a copy of the book on that date. So I'm just going to write a few lines for now to tell you how utterly amazing this book is. I am such a huge fan of Katie's writing. I couldn't have loved her first book, My Everything, more. I couldn't wait to get my hands on this book and I am so happy to say that it didn't disappoint. I loved every page, the characters are so real and they became friends the more I read. My Everything was my favourite book of 2015, and I fail to see another book that can come along this year and take the title of my favourite book of 2016 away from A Life Without You. I love everything about this book, from the striking cover to the beautiful tale that lies within it's pages. Katie Marsh is a hidden gem within the world of fiction and I cannot recommend her books enough. I will be shouting about this book to everyone who will listen. A Life Without You is not to missed.